The US-led coalition against ISIL carried out 15 airstrikes in both Syria and Iraq in order to destroy jihadist group's critical infrastructure. 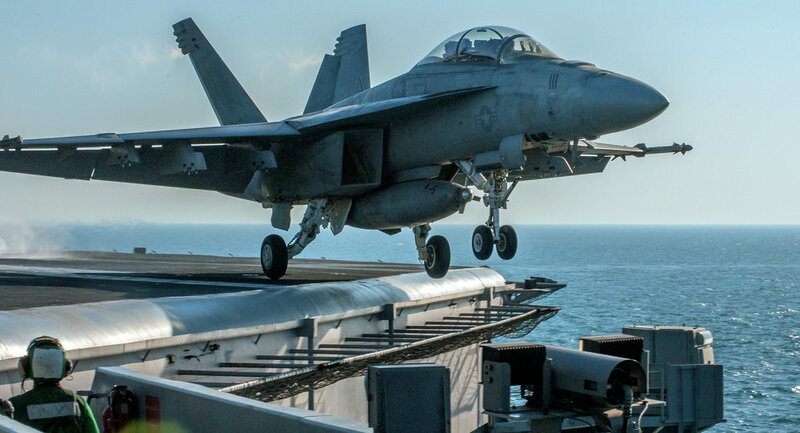 WASHINGTON (Sputnik) — The US-led coalition against the Islamic State launched 15 airstrikes in Syria and Iraq to degrade the terrorist group’s personnel and infrastructure, Combined Joint Task Force — Operation Inherent Resolve said on Facebook on Wednesday. "In Syria, coalition military forces conducted five airstrikes using attack, bomber, fighter and remotely piloted aircraft," the statement read. "Separately in Iraq, coalition military forces conducted eight airstrikes coordinated with the government of Iraq using attack, fighter, and remotely piloted aircraft against ISIL [Islamic State] targets." The airstrikes in Syria eliminated three Islamic State tactical units, two buildings, a front end loader and an excavator, a mortar system, a fighting position and a bunker as well as an artillery piece. The coalition carried the airstrikes near Al Hawl, Ar Raqqah, Mar’a and Washiyah. In Iraq, coalition airstrikes destroyed five Islamic State tactical units, six vehicles, six fighting positions, a homemade explosives facility, a vehicle-borne improvised explosive device (VBIED) and a mortar firing position. The airstrikes were carried near Al Qaim, Bayji, Haditha, Mosul, Qayrah, Sinjar and Tal Afar. The 62-nation US-led coalition has carried more than 6,400 airstrikes on Islamic State targets since August 2014. US officials have estimated that the military campaign against the Islamic State has eliminated 10,000 of the terrorist group’s fighters.